Vs. 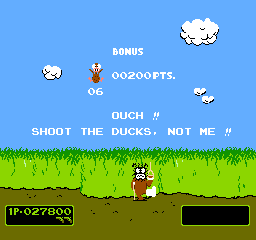 Duck Hunt is the Nintendo Versus Arcade classic ported to the NES. It takes shooting ducks and clay pigeons to the next level. No more selecting ducks or clay pigeons, the game goes cycles between the two as you progress. There's even bonus stages after every two stages. One exciting difference in Vs. 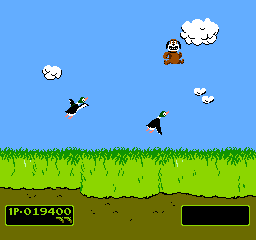 Duck Hunt is the ability to shoot the dog, which you can do during the bonus stage. The dog is jumping in the line of fire and can be shot. Also, Vs. 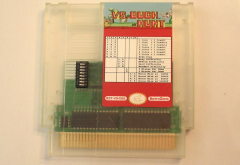 Duck Hunt has both a 1 player and a 2 player mode, so buy this today and challenge your friend to a friendly game of Vs. Duck Hunt. DIP switches on the cart give you access to all the arcade options listed right on the label. Choose four levels of difficulty, number of misses before the game ends, and how many points are needed for an extra miss. 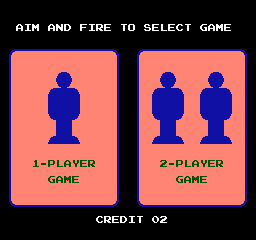 Then just hit start and select together to insert a coin, no quarters needed! 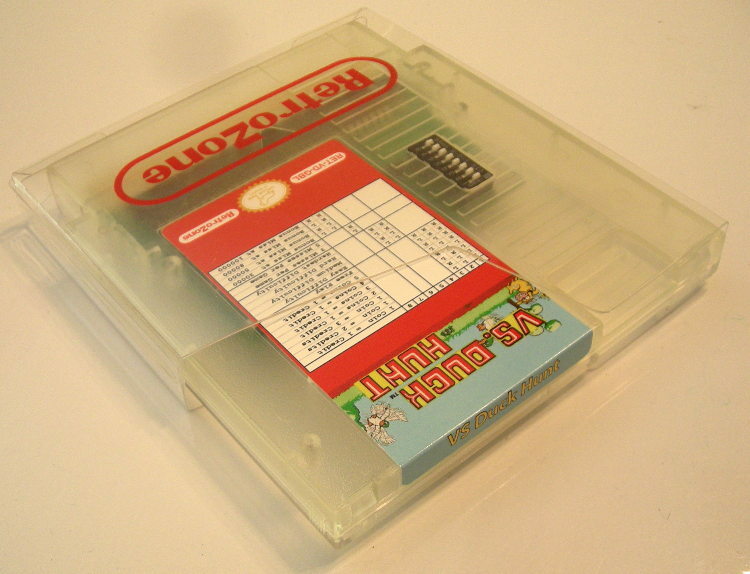 Much more than a reproduction, this game cartridge is built using all new parts. No donor carts were harmed in the making of this game. No quarters needed Dog in bonus rounds? Shoot him! Works on the Yobo, FC Twin, NEX, and Retro Duo clones. Works on Famicom using 72-60 pin converter. Untested on portable systems, no Zapper. Zapper only works on CRT TVs. This is not a game limitation, it is a Zapper limitation.